Writers On The Move: Give the Gift of Reading This Holiday Season! but the impact of books lasts a lifetime. The volunteer organization “Write On! 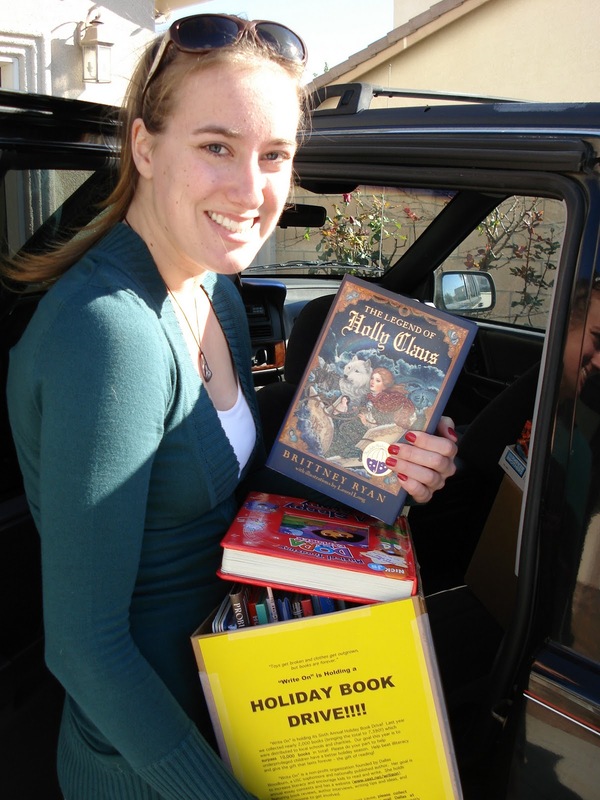 For Literacy” is holding its Tenth Annual Holiday Book Drive to benefit underprivileged children! Last year we collected nearly 1,000 books (bringing our grand total to more than 12,000 books!) that were distributed to various schools and charities including the Boys & Girls Club, Casa Pacifica, and Project Understanding. Please do your part to help children have a better holiday season. Help beat illiteracy and give the gift that lasts forever: the gift of reading! Start a chapter in your area! Donate books to a local charity -- Boys & Girls Clubs are usually very grateful for donations -- and then e-mail me the total number of books donated which will be added to our grand-total. Many thanks to our recent generous contributors! * Barry Kibrick, host of the Emmy-award-winning PBS television show "Between the Lines," annually donates 400-500 books to charity. * Raeanne Alliapoulos donated 30 books to the Boys & Girls Club in Pomona, California. The past nine years, Write On's Holiday Book Drive has donated 12,106 books to disadvantaged children across the nation. What a wonderful thing to do. I'm always impressed by all that you do and how you give back to the community. Thank you Martha and Maggie! And I love those organizations -- thanks for sharing the links Maggie!